We all spend hours painting and modelling our armies only to risk models getting damaged when we’re trying to move them from table to table during tournaments or even between games at the FLGS. We can of course repack our armies in our transport cases after every game or risk carrying whole squads in your bare hands like a barrel of monkeys. But there’s a better way. A display board. Simple. Elegant. Cheap. If you don’t have one. You need one. Now, if you’re just looking for a transport board, any decently sized sturdy flat surface will do. I’ve seen people use everything from firm cardboard to plastic bin tops, to cookie sheets. Why not go the extra mile and make that board do double duty and help your models look better while you’re moving them? 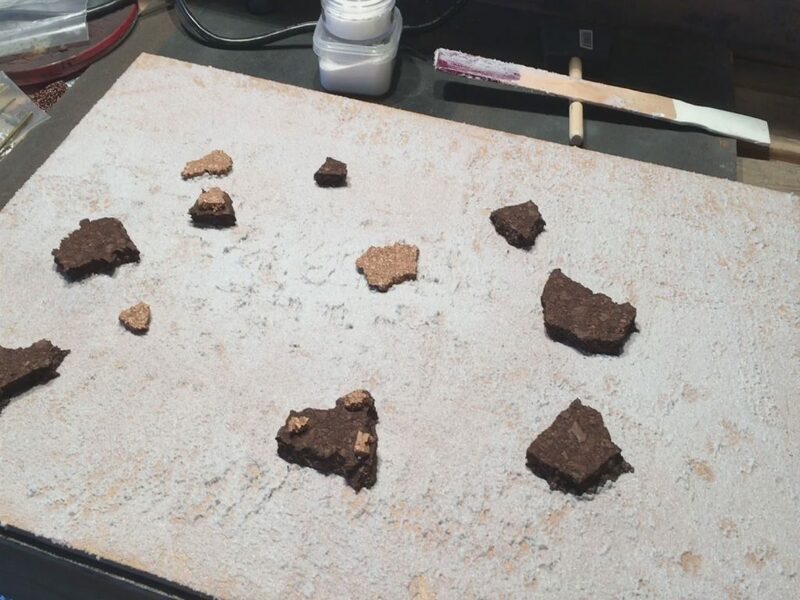 All it takes is some MDF, some kind of basing flock, and a custom frame and you’re well on your way to making a great display board that will make your army stand out and will help you move from table to table in safety and comfort. In this tutorial, I’ll help you make a simple good-looking display board. 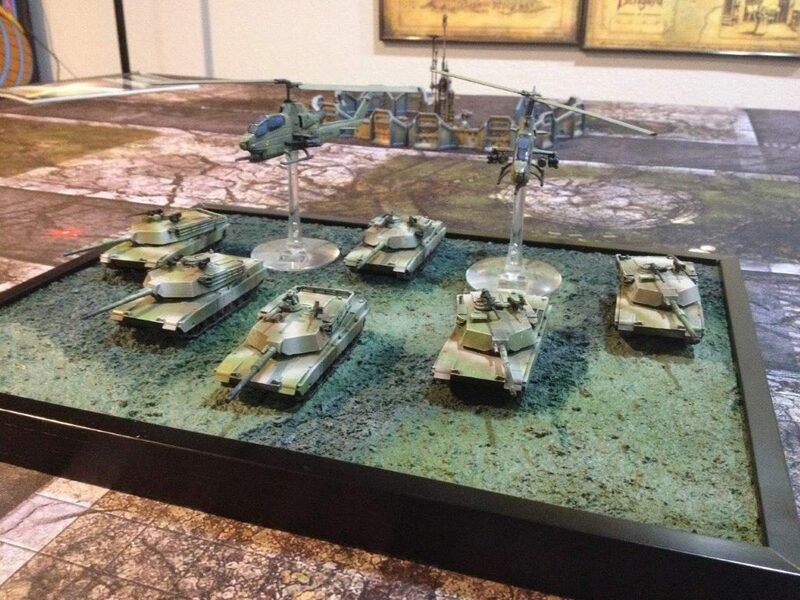 This won’t be the kind of incredible diorama boards you see at major tournaments like Adepticon, but it will get the job done and it should be rugged enough to travel with you should the need arise. STEP 1 – The board itself. You’re going to need something sturdy. You can use cardboard to sheet metal as long as it is strong enough to hold your models and take a bit of a beating. My recommendation is MDF (Medium Density Fiberboard). You can get ¼” thick 24” x 48” sheets at your local home improvement store easily enough, it is light and strong, it is cheap, and you can cut it easily without using power tools. One consideration, we’re going to be using some pre-made frame kits in our final step, so keep that in mind when figuring out the size of your board. Make it rectangular rather than square since that makes it easier to carry. Personally, I wouldn’t make it more than 24” wide. The upside is that many of the MDF sheets already come in 24” widths, so that’s potentially one less cut you have to make. Make it a manageable size for your army. Unless your board is going to serve as a diorama, we don’t want a lot of open space on the board. Yet at the same time, we want it to have enough space to allow flexibility in army builds and generic enough to serve multiple armies. Also, keep in mind that if you’re going to be traveling with your board, it’s going to have to fit in your luggage. So don’t forget about that. 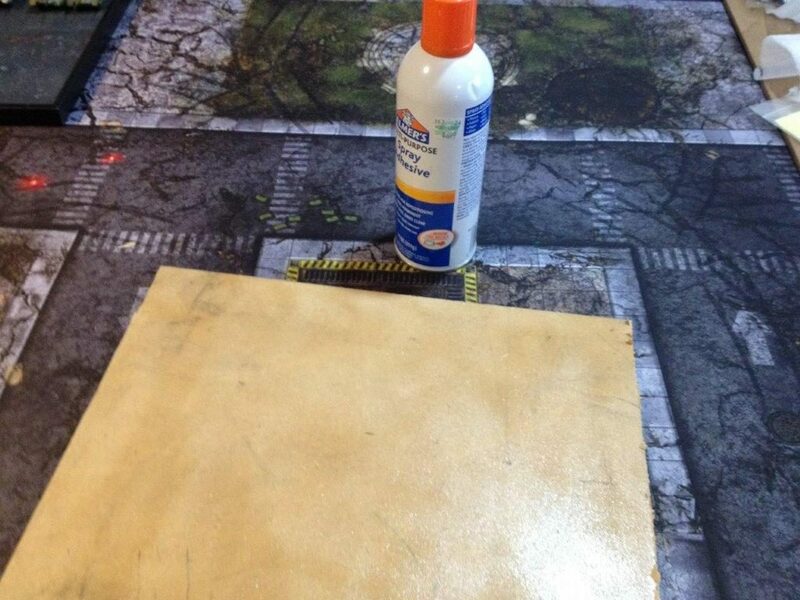 STEP 2 – Cover your board. 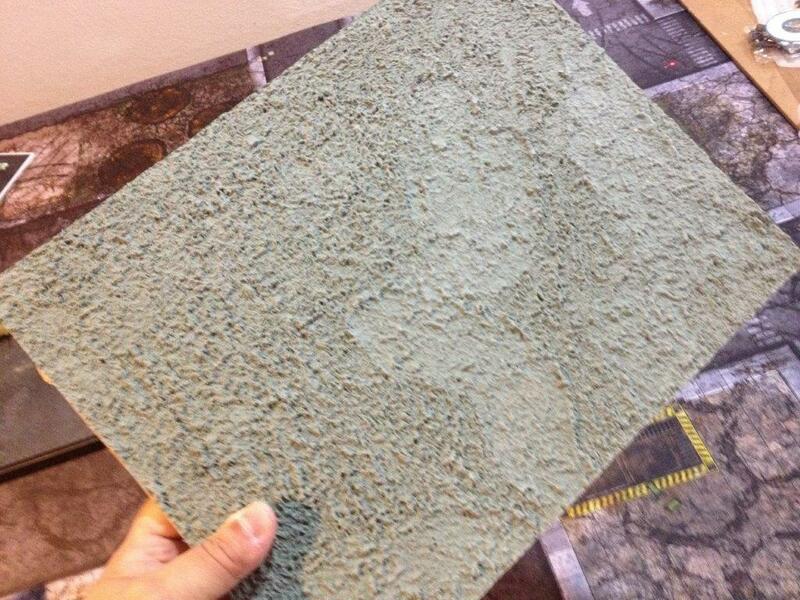 We’re going to need to cover our board with some kind of texture to make it looks nice. There’s always the cheap tried-and-true trick of PVA glue and sand. I will advise against this technique if you’re going to travel with your board. Especially if you’re going to put it in your luggage. Invariably, no matter how well sealed, sand and bits of flock will come off the board and start getting everywhere. The ideal method is to cut down a piece of textured mat to fit your board. (Zuzzy Mats used to be a great source, but they’ve been hard to come by in recent times). In some of these pictures, I made a small display board for a Team Yankee force and I used an extra piece of textured mat to provide the basing. The next best thing to a textured mat is Vallejo basing gels. They come in a variety of colors and textures from Black Lava, Red Oxide, Dark Earth, to Desert Sand, and White Pumice. 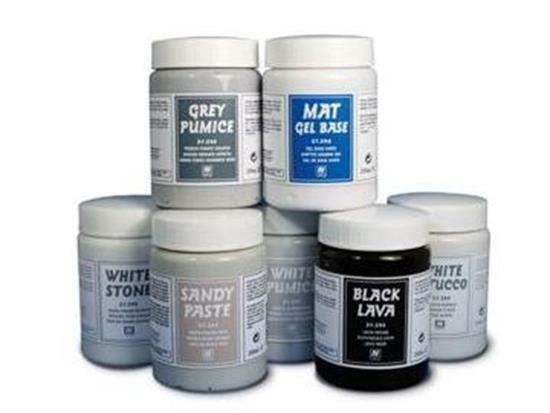 These basing gels are essentially an air curing glue mixed in with a basing medium. My favorite is Grey Pumice, the coarser, the better. We’re going to paint it anyway, but if you were going to prime in black or white, you might save yourself a step going with those color basing gels. 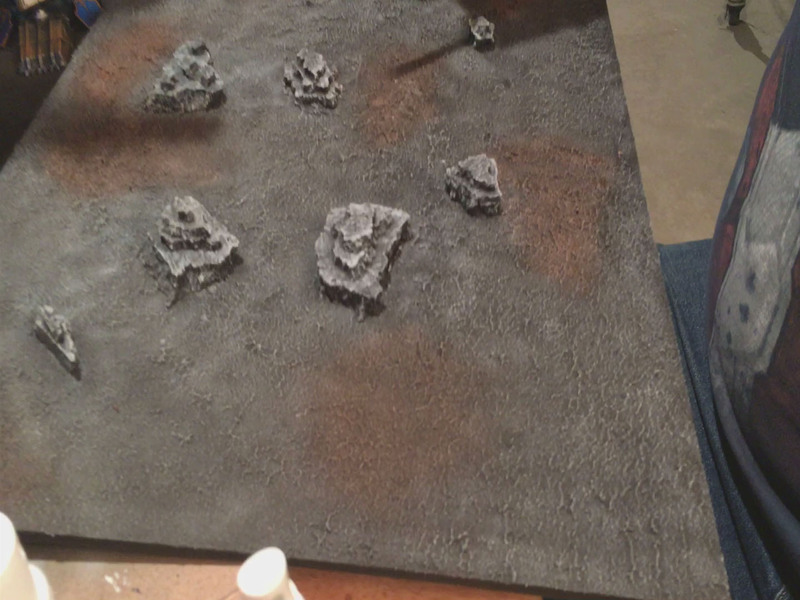 Use bits of cork, bark, rocks, sprue, and terrain to add interesting bits to the board. 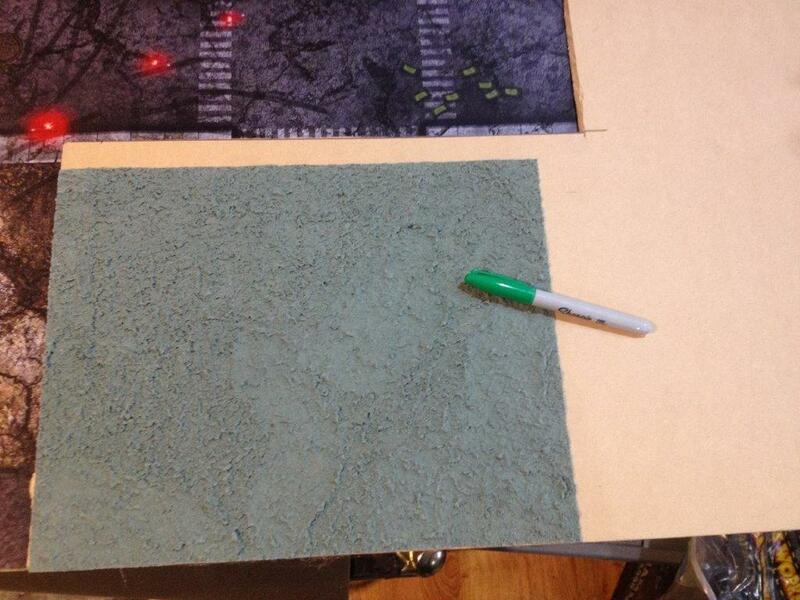 Unless making a large diorama, keep the terrain elements small. They should just be accents to the board and not impede your models. Here I’ve cut the board to the size of small piece of textured mat, then covered the board in spray adhesive, then glued the piece of textured mat to the board. 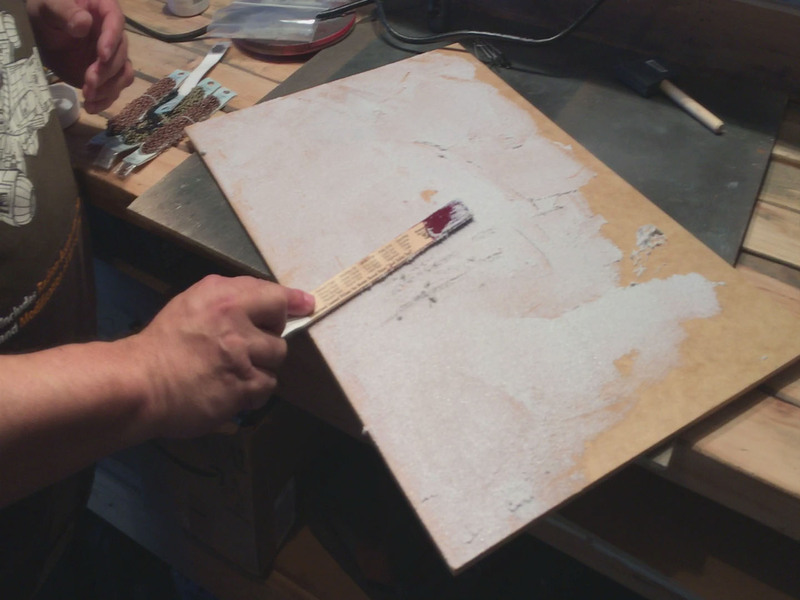 On this board, I’ve using a stir stick to spread Vallejo Grey Pumice basing gel over the board. Here I’ve added pieces of cork that will act as rocks to accent the board. NOTE: If you’re going to use cork like this, don’t forget to seal the cork with watered down PVA glue so the cork doesn’t flake over time. STEP 3: Paint your board. Prime and paint your board like you would any other piece of terrain. Sticking to two or three colors is best. Remember, the board is there to highlight your models, not take attention from them. Use successive drying brushing techniques to build up the color. Pro-tip: To really make the board pop. Use a very light drybrush of white as your final drybrush layer. STEP 4: Add a border. If you want to take things to the next level, go to the local trophy shop and have them make a plaque with your name on it and a description of your army. 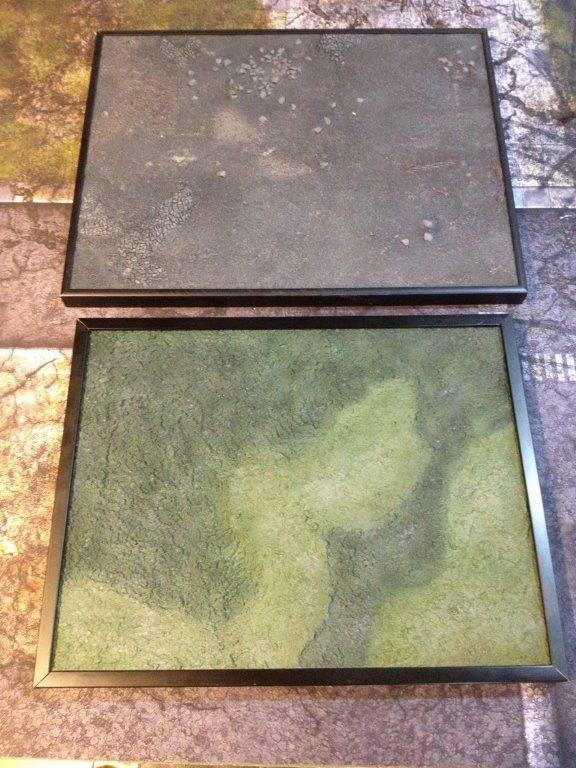 Two different boards using textured mats as the basing with metal custom frames. The final result. Boards with models displayed on them. Now you’ll have a sturdy board that will help you transport your army between games from table to table and help enhance the look of your models when you show them off. Done right, it doesn’t have to break the bank. 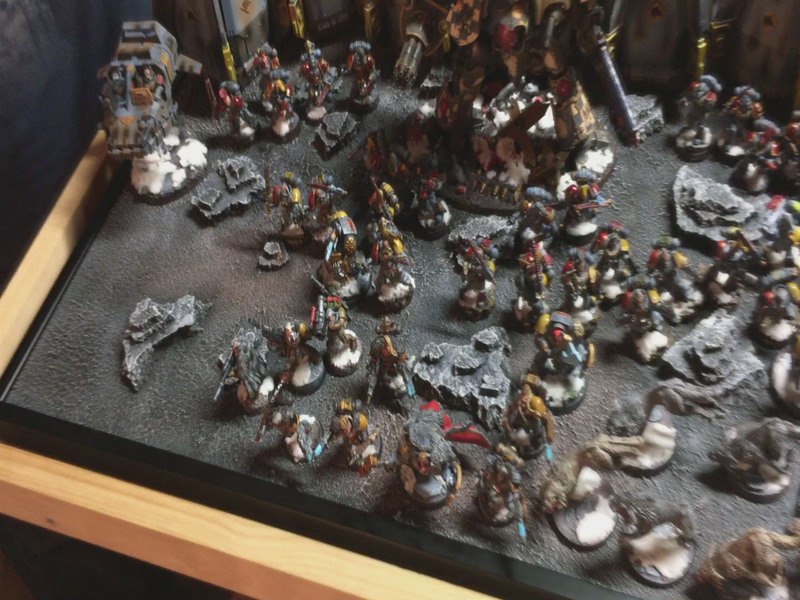 Depending on the materials used a good display board should cost you more than $30 and can serve multiple armies and game systems. Tourney Formats: Winning isn’t the ONLY part of the hobby.